additional information including a comprehensive listing of instructional programs, major employers and industry-related websites /blogs. The Cyberknife is used in radiosurgery to treat deep-seated brain tumors. The ultrasound to see the heartbeat of your first child. The X-ray to find if the fracture in your arm is minor or severe. Each of these devices requires the maintenance expertise of a biomedical equipment technician (BMET). 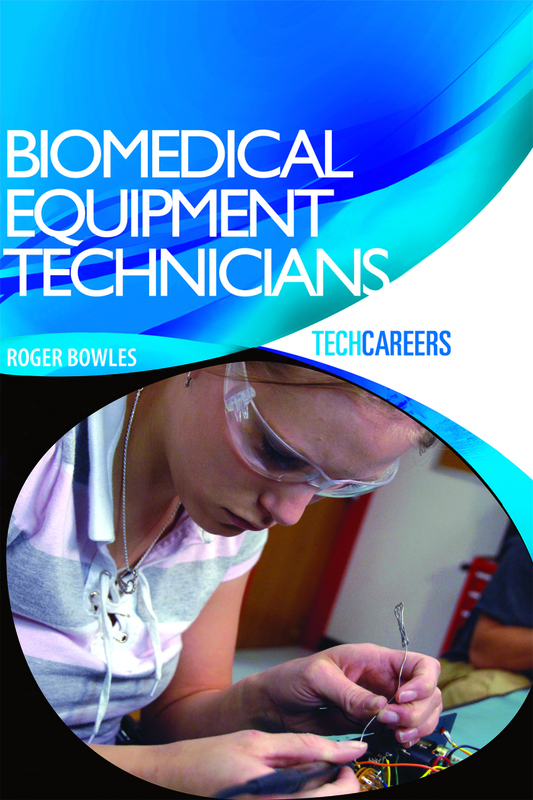 TechCareers: Biomedical Equipment Technicians gives an in-depth description of a growing career field that becomes more important with every medical advancement. Today’s healthcare facilities use millions of dollars’ worth of medical electronic devices. Biomedical equipment technicians ensure the reliability and safety of the medical equipment doctors need to save lives. Medical equipment started out as crude, sharpened pieces of wood and chipped stone knives. It was not until the 19th century doctors had metal instruments. Later in the century, doctors learned the importance of sanitation, clean water and sewage disposal, which helped to improve health in the general population more than any other improvement in medicine. The 20th century saw many medical advancements and the introduction of new “ologies” – bacteriology, hematology and radiology. The need for BMETs did not take off, however, until mid-1960s because of concern for patient safety with the increased use of electronic medical equipment. In 1971, Ralph Nader published an article in the Ladies’ Home Journal stating the number of accidental electrocutions in hospitals was around 5,000. This and other reports led to the formation of safety standards and the need for technicians. Today, biomedical equipment technology is still a small field. There are only an estimated 30,000 to 50,000 technicians nationwide. The field, however, is growing rapidly. The U.S. Bureau of Labor Statistics estimates a 27 percent growth by the year 2018. The average age of current technicians in the profession is 42. As tech nicians near retirement age and the need for more medical equipment increases, more and more technicians will be needed. In 2007, typical starting salaries ranged from $32,000 to $42,000 in the south central United States. Larger hospitals offer higher pay ranges, along with manufacturers in larger cities. With training, the average salary of those in the field after five to seven years increases to $50,000–$70,000. If you choose to work in a smaller hospital, those options decrease. Though certificate or associate degrees are acceptable in this field, those who choose to complete a bachelor’s degree have more management opportunities. At the beginning of your career as a BMET, expect to perform preventive maintenance duties more often than repairs. As you gain more experience, the more repair work you will be asked to do. When working with specialized equipment, employers generally will send you to manufacturers’ training schools for more specific training. With information about the training and education needed, as well as what can be expected as a biomedical equipment technician, TechCareers: Biomedical Equipment Technicians is a great source for individuals interested in entering the field. Roger Bowlesis chair of the Biomedical Equipment Technology program at Texas State Technical College Waco.